I'm a big fan of Abby's books and this one didn't disappoint, this is the second book in this series. 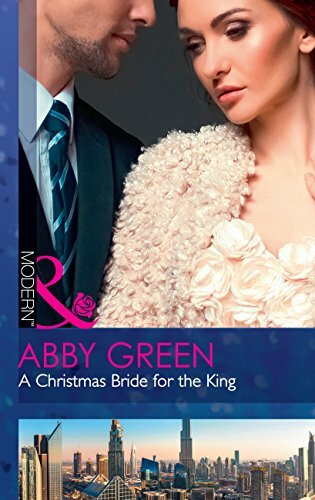 At first I thought I wouldn't like Salim, and as I carried on reading Abby worked her magic and by the end of the book I loved Salim. Charlotte comes across as prim and proper, and she's not keen on Christmas (I mean how can you not like Christmas). But Charlotte does have a reason for this, but you will have to read the book to find out. Charlotte soon looses the prim and proper look, when she and Salim have to shelter from a sandstorm when they are visiting tribe people in the desert. As you will remember Salim had a twin sister, who died when she was young. Luckily that question is answered in the book and we find out why Salim doesn't want to be king. For me the big question is does Salim want Zafir as his brother or would he want to be alone in his kingdom. And for that question to be answered you will just have to read the book. I will give this 5/5 stars and this comes highly recommeded. This book is available to buy from Amazon and all other retailers.